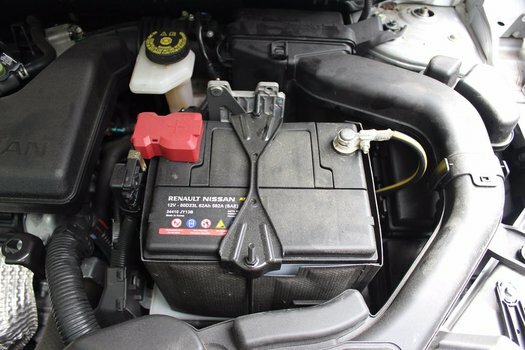 Batteries go bad, changing out the battery on your Nissan Rogue is very simple. Here's all the info you need. The Rogue in our photos is a 2nd Generation 2014+ model, but the 2008+ Rogue battery is nearly identical. Disconnect the negative battery cable first. Read why here. In our case, the negative is on the right side of the battery. 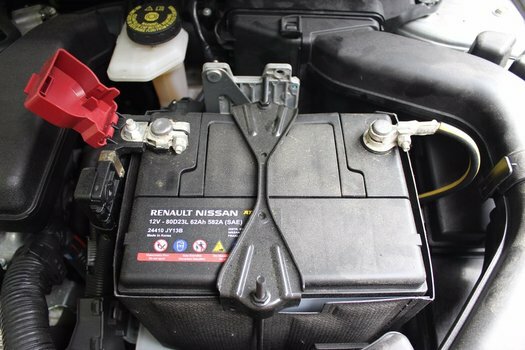 Use a 10mm wrench or socket to loosen the terminal and disconnect it from the battery. The Rogue has a little plastic cover over the positive terminal that just folds up. Loosen the 2 x 10mm nuts on the battery hold down bracket. The rods slip into the bracket at the bottom. Once the hold down bars are loose enough, you'll be able to slide them out of the holes on the bottom and remove the hold down bracket. 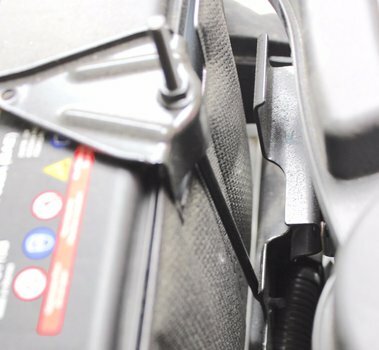 Lead acid batteries are very heavy, take care not to drop the battery on the fender while removing it. 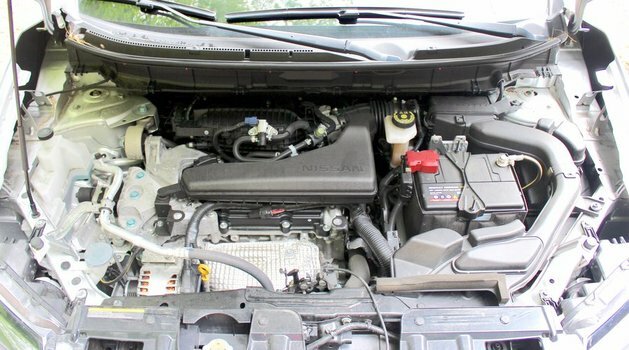 Place the new battery in the vehicle. Make sure the negative and positive terminals are in the same location. Install the battery hold down bracket. Connect the positive battery terminal and tighten the terminal clamp. Connect the negative battery terminal and tighten terminal clamp.